In today’s world, with all the communication you could ever desire at your fingertips, the working environment is a fast changing landscape. Global companies can work in sync with offices on opposing sides of the world. Distance is no longer a barrier in productivity or a hindrance to communication. Unsurprisingly, over the last decade, we have seen a global trend of increasing telecommuting. But what does that mean for the employer? Is their workforce becoming more apathetic as they see the opportunity to hide their activity, or does the freedom to control and manage their workload independently in fact improve their output? And ultimately, does being open to the notion of remote working improve your chances at recruiting the best talent? A multitude of research has been published over the last few years claiming freedom to work from home directly correlates with a happier worker. A reduced commute, and control over personal factors, such as childcare, are all named as contributing factors for the improved working experience. The number of people working from home is higher than it’s ever been. In the UK, the percentage remote workers has risen from 12% to 13.7% in just 10 years. To put that into more relative terms, that figure now exceeds 4.2 million. Similarly, in Australia, it is estimated approximately a third of the workforce are now working from home. The same pattern can be see across the world. This trend is hardly surprising. With more families coping with two working parents, growth in the transport industry allowing individuals to justify working long distance, and ultimately, a growing educated population making the job market more inflated meaning a willingness to work long distance, it’s plausible that more workers are taking the step to control their environment. 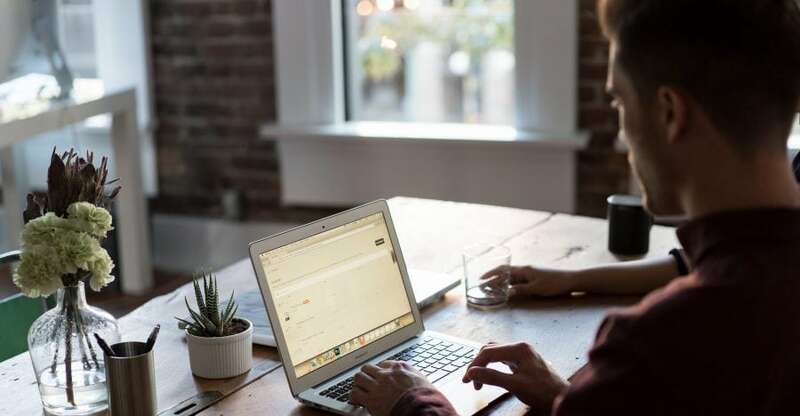 A recent annual salary survey carried out by Mason Frank International revealed that, globally, the third most valuable employer bonus was working from home, and in the UK this bonus was deemed most valued, ahead of a company laptop and bonus. In the same survey, the global result stated that 16% of these workers spent at least one day working remotely. What could really be the downside to this worker freedom? Arguably, the notion of staying at home to avoid work is now antiquated and you are held too accountable for your output in the modern workplace. However, a study from the University of Iowa has highlighted some of the potential downfalls of the telecommute. Individuals who worked from home were reported to work on average 3 extra hours per week with no extra reparations. Even mapping this output over time, this extra commitment did not result in any longer term pay increase, despite the accumulation of extra work. In fact, the primary reason given across multiple studies to justify working from home is to do more work. It’s therefore unsurprising that employers can see an increase in productivity. A lack of necessity for taking breaks, a virtually obsolete commute, and lack of distractions from office ‘culture’ all fall in line with a more productive day. Additionally, it has been shown that a key reason for a better work output is simply gratitude and a willingness to prove worth. So what can you do to attract more remote working opportunities? Outline your own policy for remote working, ensuring staff understand their opportunity to work independently. Use working from home as an incentive to reward employees. Be open to discussion about workspaces – different individuals have different needs. If you have the trust to accommodate those, you may feel your employees gratitude reflected in their work. It’s clear our working culture is taking continuous steps towards more telecommuting. Taking aside what makes a better employee, ultimately it’s better for the environment and reduces traffic. The conclusion that can be drawn from this debate is, ultimately, employers, HR advisors and recruiters must have the ability to adapt to changes in order to attract the best talent. The question of productivity must be assessed on an individual basis and through experimenting with different working approaches. Having an open communication and continued dialogue with employees and candidates is crucial for ensuring a happy and committed workforce. About the author: Maria Baranowska is an Outreach Executive at Mason Frank International and is passionate about responsible marketing and the development of the UK technology industry.